Rose Hill Manor offers a farm-like setting with the added elegance of a Jeffersonian style manor. Open any bridal magazine, click on Pinterest, or one of the thousands of wedding blogs, and you can’t help but notice the trend toward relaxed and uncomplicated when it comes to weddings today. What was once a fussy affair, fraught with stress, and plotted out with all the precision of a Hollywood production, has turned, as it should, toward a focus on the happy couple and a celebration of their commitment with those who care the most. While the trend toward “burlap-and-mason-jar” weddings is evident, your occasion still calls for a certain amount of dignity and decorum. After all, this is your wedding day and you want your guests to remember it as a celebration of love, a happy time, and an important occasion. You can bring together an ambience of ease and a sense of ceremony when you choose Rose Hill Manor as your country wedding venue in Northern Virginia. When you think of a country wedding venue in Northern Virginia, you likely picture the naturally breathtaking countryside as the backdrop to begin your lifetime of memories. 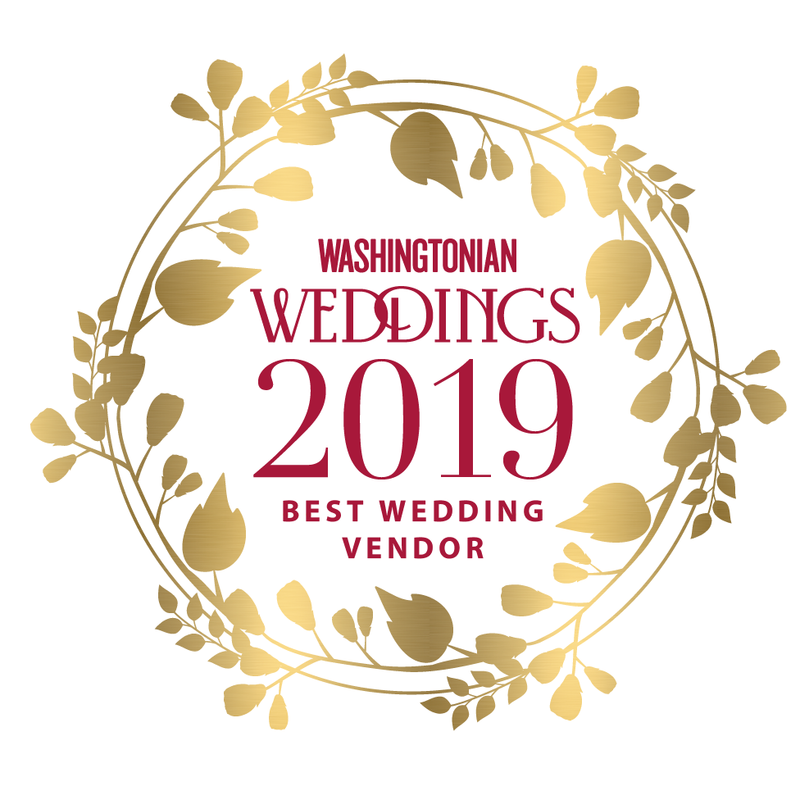 From the moment you enter the grounds of Rose Hill Manor, just a few minutes north of historic and quaint downtown Leesburg, you know you’ve found the ideal location for your country wedding venue in Northern Virginia. A stately Jeffersonian style manor home stands amidst 23 lush and verdant acres. The surrounding pastureland gives way to hills, rolling up to the base of the easternmost Blue Ridge Mountains. Horses whinny in the distance. Cows low in a lazy singsong. Your heart knows you’ve found your perfect country wedding venue in Northern Virginia. The home itself boasts three spaces, all equally as lovely, in which you can host your reception. The Grand Ballroom is an expansive space, ideal for mingling, dining and dancing. The Grand Ballroom will accommodate the largest of guest lists. The adjacent, yet separate, Small Ballroom is impressive and beautifully appointed. Your guests will love the view from the panorama of windows, showcasing the grounds and countryside. The Entrance Hall is a bit more intimate and can accommodate a slightly smaller guest list. While not as opulent as the Grand Ballroom, the Entrance Hall is classic in character and charm and equally as elegant. The real star and perfect country wedding venue in Northern Virginia is the patio space. The patio at Rose Hill Manor is one of the largest in the state of Virginia and can serve as a memorable wedding location from ceremony to send-off. We’ll always have a back-up plan should there be inclement weather, but for a country wedding venue in Northern Virginia, there’s no lovelier space than the patio at Rose Hill Manor. The play of light on the distant hills is a photographer’s dream. Trends will come and trends will go, that’s the nature of life, and event planning. Just take a look at some of the wedding attire of the 80’s and you’ll agree. But what remains is the heart and soul of the occasion. The lifelong commitment to love, honor, and cherish each other is no passing trend. It’s a beautiful exchange of vows and a reason to celebrate in the best possible way. Request a Tour of Our Rural Wedding Venue Today! When you choose Rose Hill Manor for your country wedding venue in Northern Virginia, you’re choosing a place that befits the occasion. Elegance doesn’t have to be stuffy. Come and relax in time-honored beauty. Let historic Rose Hill Manor set the tone for your dignified, yet easygoing celebration and you will have the time of your life.